Recently, was presented an international study for the early diagnosis of hipoacusias by means of genomic tools (GHELP project), led by the University of Navarra Clinic, in which 8 other centres from Spain, Portugal and France participate, including the IIS Biodonostia. Five out of every thousand children are born with some type of hearing deficiency in south-western Europe. Thus, the GHELP project has the aim of improving the current programmes for the early detection of hearing deficits. Led by the Clínica Universidad de Navarra, this is an international genetic study for the diagnosis of hearing disorders in new-borns. The GHELP project is co-financed by the Interreg Sudoe Program through the European Regional Development Fund (ERDF). “Early detection improves the speech and language skills of children with hearing loss. It has been shown that intervention before the age of 12 months yields significantly better results than a later intervention,” explained Dr. Manuel Manrique, Project Coordinator and Director of the Otorhinolaryngology Department of the Clinic. The basis of this study is the GHELP panel, a genomic diagnostic tool that analyses the most important genes involved in hearing loss. Genetic factors are one of the main causes of this disease, as it is estimated that 60-70% of cases of hearing loss among children are of genetic origin. The usual screening programs for early diagnosis in new-borns will be used for this panel, together with samples from both the Clinic’s patients and those of five other centres located in Spain, Portugal, and France. This was explained by Dr. Manuel Manrique at the project’s public presentation, where he was accompanied by Dr. Gorka Alkorta of the Genomics Unit of the University of Navarra’s CIMA LABX, and Dr. Ana Patiño, Director of the Clinical Genetics Unit of the Clinic, as members of the research team. The event was also attended by José Andrés Gómez Cantero, Director of the Clinic, and Javier Mata Rodríguez, Director of the Research Management Service of the Universidad de Navarra. In addition, the benefits of this project for Health Administrations and individuals with hearing loss was analysed by Dr. Nieves Ascunce, Head of the Epidemiology and Health Prevention Service, and Dr. Maria Ederra, Head of the Early Detection Unit, both from the Institute of Public and Occupational Health of Navarra (Spain). The results of the study will allow for reaching the specific diagnosis of the patient and predict their potential prognosis. In addition, the project aims to achieve three other objectives: to gain a better understanding of the genetic mutations involved in hearing deficits in new-borns, including a genetic study as a regularly applied tool to obtain more sensitive and specific results, and establishing a platform that will allow other centres to take advantage of this technology. The Centres participating in the project are: Clínica Universidad de Navarra (coordinator), Instituto de Salud Pública y Laboral de Navarra (Institute of Public and Occupational Health of Navarra), Asociación Instituto Biodonostia, DREAMgenics S.L., Hospital CUF Porto S.A., Centro Hospitalar Lisboa Central, EPE, Centre Hospitalier Universitaire de Montpellier, and the Centre Hospitalier Universitaire de Toulouse. This entry was posted in Uncategorized on 7 February, 2019 by Biodonostia. The research project is part of the European Research and Innovation Programme Horizon 2020, one of the most competitive and prestigious at international level, and is funded with €3.5 million. 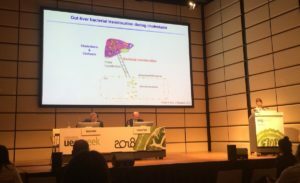 An international consortium co-headed by Dr Jesús Bañales, Head of the Hepatic Diseases Group at Osakidetza’s Biodonostia Health Research Institute (Biodonostia HRI), has obtained €3.5 million for a study of liver cancer (hepatocellular cancer), bile duct cancer (cholangiocarcinoma) and gallbladder cancer, in the framework of the European Research and Innovation Programme Horizon 2020. Together with Drs André Boonstra and José Debes (Erasmus Medical Center, Rotterdam, the Netherlands), who will act as coordinators, and Dr Juan Carlos Roa (Catholic University of Chile, Santiago, Chile), Dr Bañales heads a collaboration between Europe and South America to determine new risk factors and non-invasive early diagnosis markers for these hepatobiliary cancers. These tumours represent one of the main causes of death worldwide and are exceptionally aggressive in Latin America, largely affecting relatively young people. Outstanding among the high death rate of these tumours is the lack of non-invasive, sensitive and specific early detection methods, since those currently in use are complex, requiring advanced imaging technologies and tumour biopsy studies. This problem is significantly worse in regions with limited resources, meaning that these tumours are generally diagnosed at advanced stages and with very poor prognosis. In the words of Dr Bañales: “To overcome these barriers, we have proposed the validation of biomarkers (inflammatory, proteomic profiling of extracellular vesicles, and circulating tumour DNA) present in blood and recently described by our research group, thereby enabling us to determine their clinical use for the non-invasive and specific diagnosis of these tumours. On the other hand, we want to increase the knowledge of potential risk factors (genetic, infectious) associated to the development of these tumours”. Within this project, a comparison will be made between the situation in Europe and that of Latin America. The project will therefore have partners from five Latin American countries (Argentina, Brazil, Colombia, Chile and Ecuador), four EU countries (Germany, Spain, the Netherlands, the United Kingdom) and Canada. 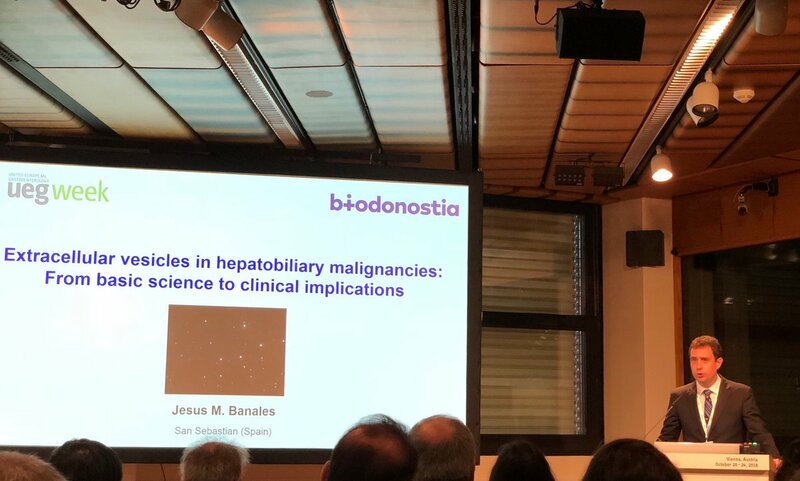 Over the next 4 years, the Biodonostia HRI Hepatic Diseases Group headed by Dr Bañales will lead one of the 3 scientific programmes, on cholangiocarcinoma, and will actively participate in the other two (on hepatocellular carcinoma and gallbladder cancer). Other participants in the project will be Drs Luis Bujanda (Head of the Hepatic and Gastrointestinal Diseases Area at the Biodonostia HRI) and Raúl Jimenez, Adelaida Lacasta, Maria Jesús Perugorría, Pedro Rodrigues and Elizabeth Hijona from the Biodonostia HRI and the Donostia University Hospital (DUH). 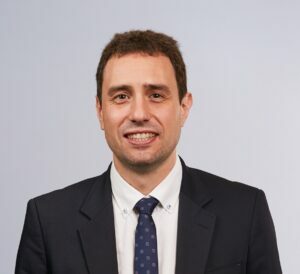 Dr Bañales is an Ikerbasque, Miguel Servet and CIBERehd researcher, as well as Associate Professor at the Mayo Clinic (USA), University of Navarra (Spain) and Universidad Area Andina (Colombia). 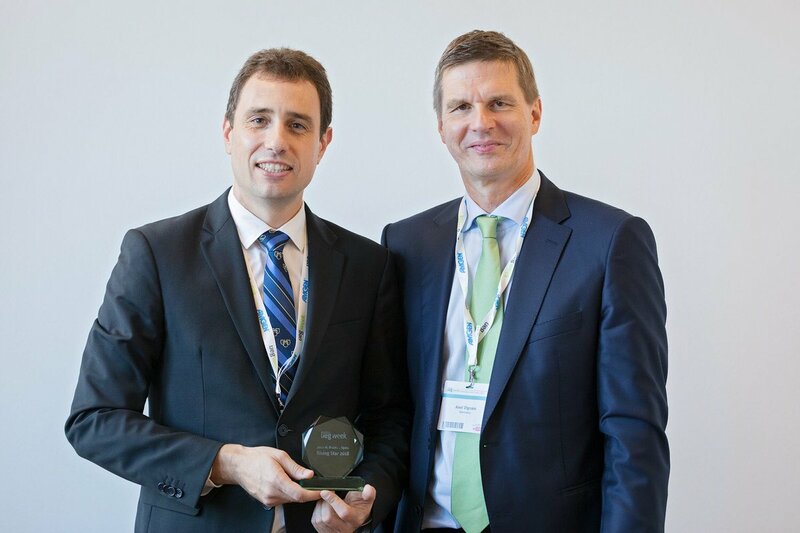 He is also co-founder and coordinator of the European Network for the Study of Cholangiocarcinoma (ENSCCA), as well as coordinator of a European database of patients with cholangiocarcinoma, containing more than 2000 cases. This entry was posted in Uncategorized on 29 January, 2019 by Biodonostia. Development of the 3D printing area is currently one of the main strategic R&D&I endeavours at the Biodonostia HRI. 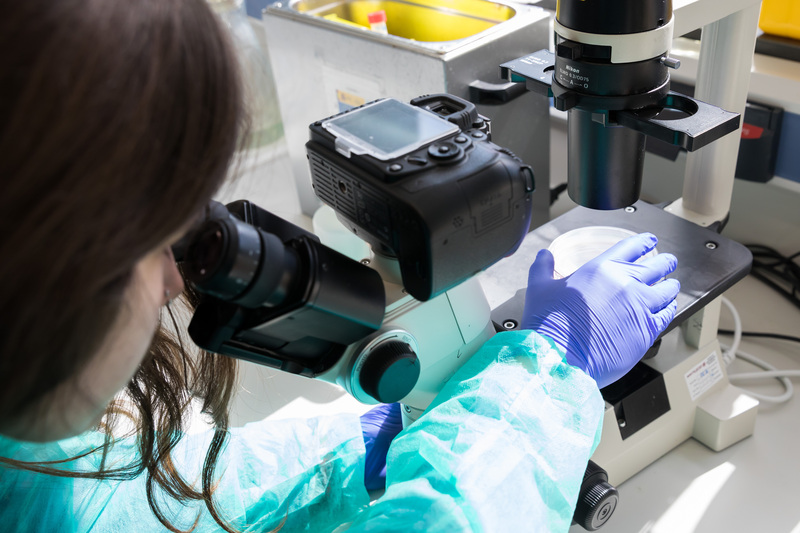 In line with the situation at other health research institutes and hospitals, the Biodonostia HRI has decided to promote a Multidisciplinary Unit on Bio-models, Bio-inks and 3D Bioprinting. This Unit will encompass the activity already carried out at the Donostialdea IHO on bio-model printing, together with a new development in the area of bio-inks and 3D bioprinting. Development of the 3D printing area is currently one of the strategic R&D&I endeavours at the Biodonostia HRI. 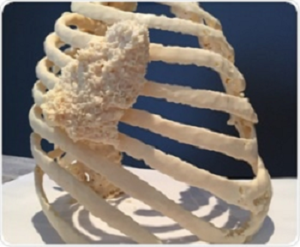 The introduction of 3D technology to the biomedical field has two main areas of application. On the one hand, the creation of bio-models, understanding as such modelling of the disease (mainly tumours) in order to improve surgical approximation and patient operating times, as well as to personalise prosthetic implants. On the other hand, the bioprinting of cells and tissues for their use in approximations based on regenerative medicine. The use of plastic models enabling an exact 3D replica of the characteristics of each patient’s tumour has a number of advantages, such as improved planning of surgery before proceeding, improving trust in the most suitable surgical approximation, shorter operating times and a possible improvement in the customised adaptation of prostheses and implants to each patient’s anatomy. In turn, the patient obtains an improved visualisation of their pathology and better understanding of the risks associated to the operation, thereby improving their trust in the medical team and reducing their anxiety in relation to the operation. In recent years the bio-models area has acquired considerable development in our environment thanks to interaction between the Thoracic Surgery Service of the Donostia University Hospital (DUH), now the Donostialdea Integrated Health Organisation (Donostialdea IHO), the X-ray Diagnostics Service, also belonging to the Donostialdea IHO, the San Sebastian School of Engineering, the Tknika Vocational Education Centre in Errenteria (Gipuzkoa), and other actors, having already gained position as one of the national benchmark units in this field. Translation to the clinic is now a reality, with 36 models having been designed and dispatched to 23 national hospitals, added to which are another 19 models designed for this particular Service and for other Hospital services. On the other hand, the bio-ink and 3D bioprinting development area is less developed, having been limited until now to the pioneer initiative of the IHO Ear, Nose and Throat Service, leading to the acquisition and setting in motion of a 3D bioprinter at the Biodonostia HRI thanks two Bottom Up projects corresponding to the Operating Contract (granted by the Ministry of Health’s Provincial Delegation for Gipuzkoa). To strengthen this area, new equipment has been acquired, financed thanks to the Medtech initiative (promoted by the Presidency of the Basque Government and the Ministry of Health, through the Innovation Fund). Projects are also being set in motion with the focus on different pathologies in the areas of oncology, urology and surgery. The intention on creating this new Unit is to promote the two 3D printing areas, formalising and intensifying the collaboration between biomedical professionals in different branches, engineers and vocational education technicians (VE). Furthermore, the creation of a Platform/Multidisciplinary Unit constitutes an opportunity to provide the service to other national healthcare centres and in so doing to multiply returns on the investment, also favouring competitiveness of the Institute researchers in regard to obtaining European funding. This entry was posted in Uncategorized on 25 January, 2019 by Biodonostia. 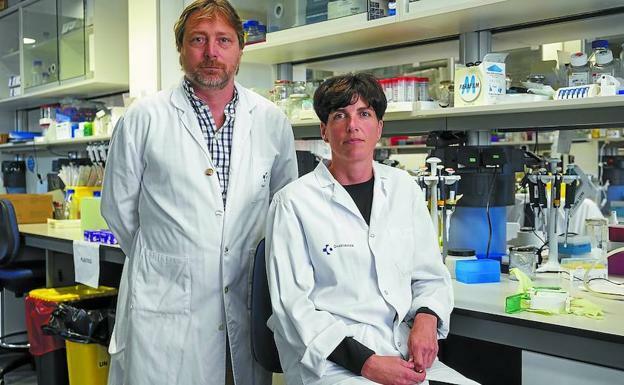 A report published in the Diario Vasco newspaper towards the end of the year refers to the current situation of a research project carried out at Biodonostia on head and neck cancer by Charles Lawrie, an Ikerbasque researcher and head of the Institute’s Oncology area, together with Lorea Manterola, a member of the centre’s Molecular Oncology Group. 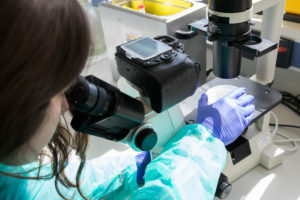 The origin of the report is the publication in the prestigious Scientific Reports journal of a scientific study on the early detection of head and neck cancer, and specifically on DNA biomarkers for the early detection of laryngeal cancer carried out at Biodonostia by the Institute’s Molecular Oncology group. Said report mentions a number of questions, such as the value of achieving a good diagnosis of premalignant lesions in order to be able to study their mutations and learn whether or not they will develop into cancer, with the importance this entails for their treatment. It also mentions the interest shown by hospitals from all over Northern Spain with respect to collaborating in the project. This entry was posted in Uncategorized on 4 January, 2019 by Biodonostia. The XV INMA Scientific Conference, organised by the University of the Basque Country (UPV/EHU), Biodonostia, the Basque Government and CiberEsp, took place on 14 and 15 November. At the conference, opened by Nekane Balluerka, rector of the UPV/EHU, Jon Etxeberria, Provincial Health Deputy for Gipuzkoa and Jesús Ibarluzea, principal researcher at INMA Gipuzkoa (Biodonostia HRI, UPV/EHU), explained the results obtained in the last year of research in the different analysis areas of the INMA project. A debate was also held on the relationship between child health and the most important environmental air-, water- and food-borne pollutants during pregnancy or early life, and their effects on the growth and neuropsychological development of children. 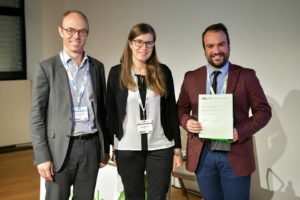 Specifically, national and international speakers explained the latest findings on issues such as health inequalities and the role of the urban exposome, green spaces and child development, the effect of noise on early childhood and the prenatal emotional state and its relationship with neurodevelopment. The INMA project is made up of seven study areas: Gipuzkoa, Asturias, Sabadell, Ribera d’Ebre, Valencia, Menorca and Granada. The research universe is composed of pregnant women from the general population in each of the said areas. In the case of Gipuzkoa, the project was launched in 2006 within the geographical area defined by the reference population of Zumarraga Hospital, including towns in the Goierri and the Alto and Medio Urola areas. Said municipalities were selected for a series of characteristics in their hospital and primary care services, and for their environmental characteristics: “strong presence of the iron and steel industry, high traffic density, low levels of disinfection by-products in the drinking water and a diet rich in fish, combined with a certain degree of hyperthyroidism in pregnant women”. During these years, since the start of the study, 640 women have been monitored in the first and third three months of their pregnancy. Today, the project researchers are monitoring 420 girls and boys regarding aspects of their growth and neuropsychological development at 11 years of age. This entry was posted in Uncategorized on 19 November, 2018 by Biodonostia. 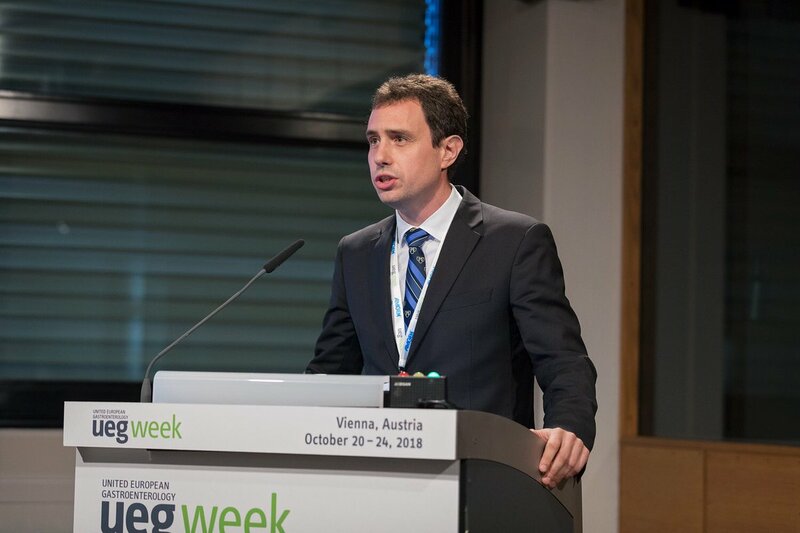 The “UEG Week 2018” Congress organised by United European Gastroenterology, UEG, ran in Vienna from October 20 to 24. 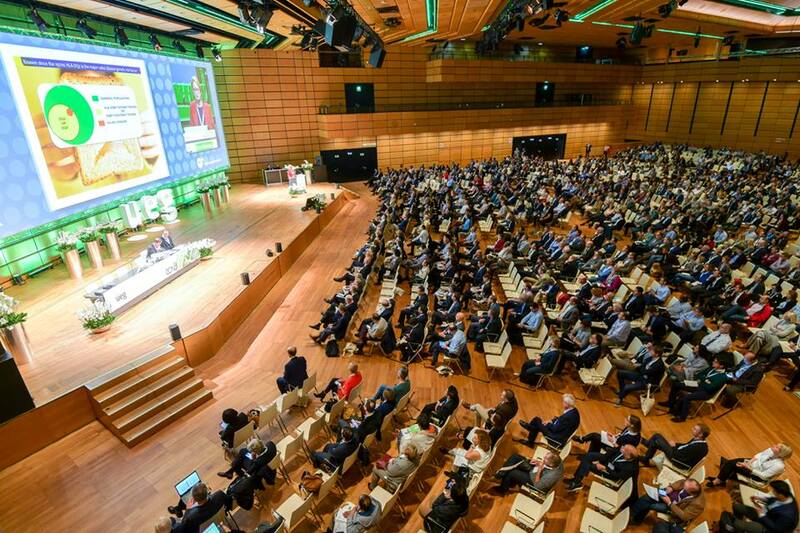 At the congress, attended by more than 12,000 participants from all over the world, with top level speakers, discussions focussed on current research topics, presenting the latest in gastroenterology and hepatology, looking at new research in the field of digestive health, and the latest features in clinical practice. 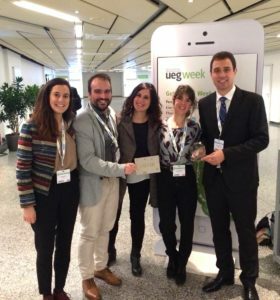 In the framework of this prestigious congress, Dr Jesus Bañales, leader of the Hepatic Diseases Group at the Biodonostia HRI, received the “UEG Rising Star” Award, presented annually by the UEG. This award highlights the excellent scientific career of researchers under the age of 40, stressing, in this case, his scientific merits as an emerging principal researcher. Other members of the said group also actively participated in the meeting. Thus, researchers Ainhoa Lapitz and Pedro Rodrigues presented their work on extracellular vesicle biomarkers in patients with gastrointestinal and hepatobiliary diseases. Both works were presented in the section on oral communications, with Pedro Rodrigues obtaining the prize for best presentation of his session for his piece. Two works headed by Dr María Jesús Perugorria on the role of the TREM2 receptor in hepatocellular carcinoma and cholestatic diseases were also presented by the researcher Ibone Labiano in the poster and oral communication categories respectively. Note that Doctor Jesús Bañales, an Ikerbasque, Miguel Servet and CIBERehd researcher, as well as leading the Liver Diseases Group in the Gastrointestinal and Liver Diseases Area of the Biodonostia HRI, is also coordinator of the European Network for the Study of Cholangiocarcinoma (CCA). This entry was posted in Uncategorized on 30 October, 2018 by Biodonostia. 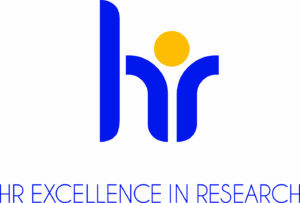 The ‘Human Resources Strategy for Researchers’ (HRS4R) distinction awarded by the European Commission, publicly recognises research centres which develop Human Resources policies in keeping with that established in the European Charter & Code, contributing to the creation of a working, transparent, attractive and open market at international level. Obtaining the HRS4R stamp represents another step forward in Biodonostia’s commitment to excellence; it is also a key element in its Strategic Plan 2016-2020, drawn up with the contributions and participation of all members of Biodonostia. Having received the ‘Human Resources Strategy for Researchers’ stamp, the Osakidetza Health Research Institute, Biodonostia, has started work on the continuous improvement actions proposed in its Strategic Plan. Biodonostia is also committed to carrying out a self-evaluation every two years, added to an external review every four years, in cooperation with the European Commission. This entry was posted in News, News, News, News, News, News, News, News, News on 26 September, 2018 by Biodonostia. Recently, the International Journal of Cancer published the study “Effect of mistimed eating patterns on breast and prostate cancer risk (MCC-Spain study)” looking at whether eating and sleeping times could be related to the risk of suffering breast and prostate cancer, with the participation of Pilar Amiano from the Gipuzkoa Sub-Office of Public Health and member of the Biodonostia HRI research area in Epidemiology and Public Health. People who dine early or go to sleep at least two hours after having dinner have a 20% lower chance of suffering breast and prostate cancer with respect to those who go to bed directly after having eaten their last meal of the day. This is the main conclusion of the MCC-Spain study which has, for the first time, analysed the relationship between dinner and sleeping times and the risk of cancer in people. Until now, studies carried out on people in relation to food and cancer had focussed on dietary patterns. An analysis had been made, for example, of whether people eat red meat, fruit or vegetables, and comparisons had been drawn between food quantity and obesity. However, no account had been taken of other factors surrounding a daily action as prevalent as eating: the time of consuming food and the activities carried out before and afterwards. Recent evidence in experimental studies shows that eating times are important and that eating late affects the health. The objective of this study, published in the International Journal of Cancer, was to evaluate whether eating and sleeping times could be related to the risk of suffering breast and prostate cancer – two of the most common cancers worldwide and which are more closely related to night work and to the circadian disruption or alteration of our biological clock. The study therefore took account of each person’s living habits and chronotype, an individual attribute related to their preference for day or night-time activities. In the framework of the MCC-Spain project, data were evaluated corresponding to 621 cases of prostate cancer and 1,205 of breast cancer, and to 872 men and 1,321 women randomly chosen at primary healthcare centres. The participants came from different parts of Spain. The analysis was made based on data collected during interviews regarding their eating and sleeping times, their chronotype and a questionnaire on eating habits and to what extent they follow the recommendations for preventing cancer. The study concludes that following daytime eating patterns is associated to a lower risk of cancer. The results also highlight the importance of taking account of the circadian rhythm in studies on diet and cancer. If the results are confirmed, they will have implications on cancer prevention recommendations, which do not currently take account of eating times. This would have particular repercussion in cultures such as those of southern Europe, where dinner is eaten late. 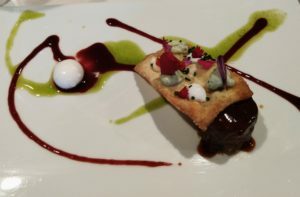 This entry was posted in Sin categoría on 13 September, 2018 by Biodonostia. Over the next 3 years, the Osakidetza Biodonostia Health Research Institute will co-lead a collaborative research project headed by the Faculty of Pharmacy, University of Lisbon, focussed on research into the part played by extracellular vesicles as non-invasive biomarkers of non-alcoholic fatty liver disease (or NAFLD), and on its development and progression. One in every three adults in Spain today suffers from non-alcoholic fatty liver disease, caused by the excessive accumulation of fat in the liver, which also affects one in every ten children without them being aware of it. A number of risk factors exist which predispose a person to suffer the disease, such as excess weight or obesity, diabetes or high levels of cholesterol or triglycerides. The incidence of this pathology is very high and is expected to rise in coming years due to bad habits among the population. In the Basque Country, it is estimated that non-alcoholic fatty liver disease may affect more than 400,000 people. This chronic disease can progress to cause inflammation, fibrosis, and even cancer of the liver. A large part of effort made under this project will be directed towards defining the role played by TGR5 bile acid receptors in modulating the content of extracellular vesicles (i.e. microARNS), as well as their role as a signalling mechanism between the adipose tissue and the liver. This may have important diagnostic and therapeutic implications. The project also has the collaboration of the pharmaceutical company, Intercept Pharmaceuticals. This multidisciplinary research project will be led by Dr. Rui Mota Castro, Researcher at the Faculty of Pharmacy, University of Lisbon, and co-led by Dr. Jesus Bañalas, Miguel Servet, Ikerbasque and CIBERehd Researcher, and head of the Liver Diseases Group at the Biodonostia HRI. Other participants are the groups of Dr. María Luz Martinez-Chantar (CICBiogune, Derio) and Dr. Kristina Schoonjans (École Polytechnique Fédérale de Lausanne, Switzerland ). The project will have a budget of €500.000, financed by the Fundação para a Ciência e a Tecnologia as a result of the collaboration agreement between the La Caixa Foundation in the framework of its Health Research Call 2017. This is the first open call for biomedical research projects set in motion by the body, with highly competitive results thanks to the submission of 785 projects of high scientific quality from Portugal and Spain, and under which a total of 24 projects have been financed. The purpose of the call was to promote projects of excellence in the fight against diseases with the greatest impact in the world, such as cardiovascular, neurological, infectious and oncological disorders. The strong multidisciplinary composition of the team and the solid research backgrounds (in liver disease) of both the leader and the co-leader of the project were very positively valued when granting the financing. The scientific impact of the project is considered to offer very high potential, as is the belief that it could lend a strong boost to the field of metabolic and hepatic disorders. Also highlighted was its potential social impact. This entry was posted in Uncategorized on 21 August, 2018 by Biodonostia. On June 21st and 22nd, the Biodonostia HRI hosted the meeting to launch the European project “Data-Driven Drug Discovery for Wound Healing (4D-HEALING)”, coordinated by Dr. Marcos J. Araúzo-Bravo, leader of the Institute’s Computational Biology and Systems Biomedicine Group, in which Dr. Ander Izeta from the Tissue Engineering Group also participates as Project Manager. 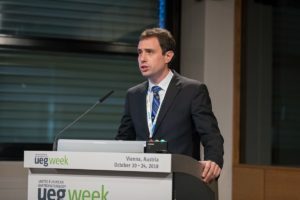 Over the next three years, the project will analyse the cicatrisation of human wounds using the innovative technology of single-cell transcriptome analyses, with the aim of using computational methods to identify molecular targets and drugs currently on the market that can be repositioned to improve cutaneous wound healing. 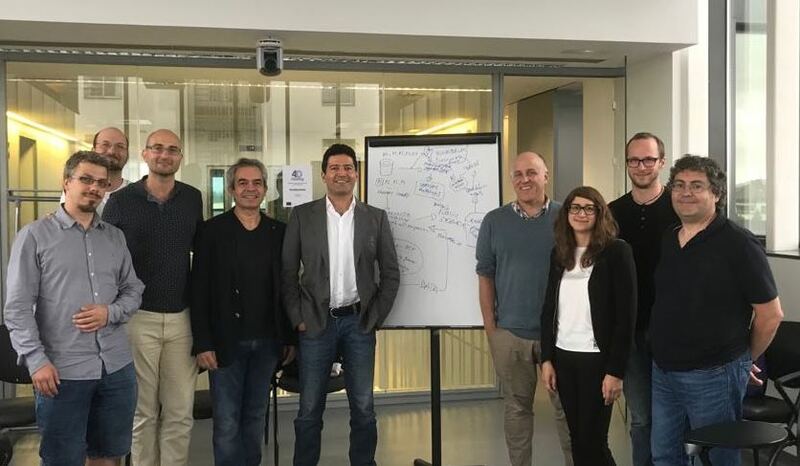 The project has been funded with 1.4M euros in the H2020 second call for projects, “ERACoSysMed – Systems Medicine to address clinical needs”, seeking to promote the implementation of approximations based on systems biology in clinical research and medical practice. Systems medicine will provide a new tool to researchers and doctors, enabling the latter to diagnose and treat patients faster and more effectively, and has the potential of being able to advance towards the production of personalised medicines. Participants in the project besides the Biodonostia HRI are Monasterium Laboratory Skin & Hair Research Solutions GmbH (Germany), University of Ljubljana, Faculty of Medicine, Medical Center for Molecular Biology (Slovenia), Mathematical Institute, Slovak Academy of Sciences, Bratislava (Slovakia), Medical University of Vienna, Department of Molecular Neurosciences (Austria), DEBRA Austria (Austria ), Plastic and Reconstructive Surgery Research, University of Manchester (UK), European Bioinformatics Institute (EMBL-EBI) and WT Sanger Institute, Cambridge (UK). This entry was posted in Uncategorized on 25 June, 2018 by Biodonostia.